Erin Balser – I run a lot. I read a lot. And I listen to Taylor Swift a lot. 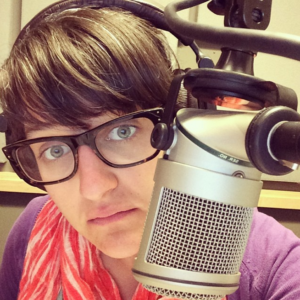 Erin Balser is an award-winning producer for CBC Books and works on cool things like Canada Reads, the Scotiabank Giller Prize, The Next Chapter and Writers & Company. She is sometimes on the radio. In 2011, Canada Reads won a silver medal at the New York International Radio Festival for best special event. The trophy now sits on Erin’s bookshelf, a permanent reminder of the time her show lost to Howard Stern’s show. She also runs. A lot. You can follow her on Instagram and Twitter. Most of her social media posts are about running. If you care about book things and not running things, follow CBC Books.